"I cannot call them gifts; but they are things that I have valued very much." Harriet Smith in Emma. Click Jane Austen Gifts to go directly to our gift page. Anyone can put "I Love Jane Austen" on a mug and sell it. In fact, hundreds of web sites do! 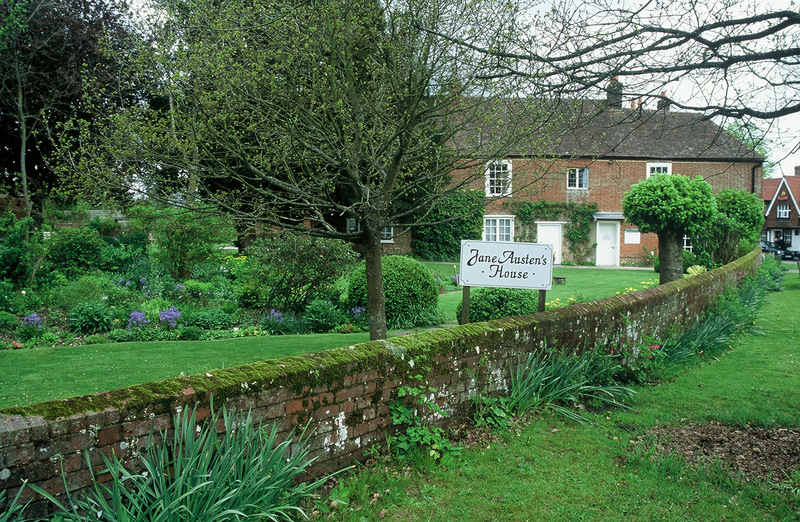 When you want authentic Jane Austen gifts, come to One Garden at a Time! The discriminating Jane Austen fan will love our gifts. This beautiful range of gifts was inspired by photographs taken by Chawton's gardener, Celia Simpson. Featuring botanical illustrations drawn from Celia's photos, plus a sepia-toned image of Jane Austen's House, many of the gifts also depict the classic sketch of Jane Austen drawn by her beloved sister Cassandra. Indulge in your passion for all things Jane with this lovely line of stationery, greeting cards, and postcards all in the signature 'Jane Austen's Garden' style.